Thinking of a book’s binding as something independent from “the book” as an entirety is a serious misconception. 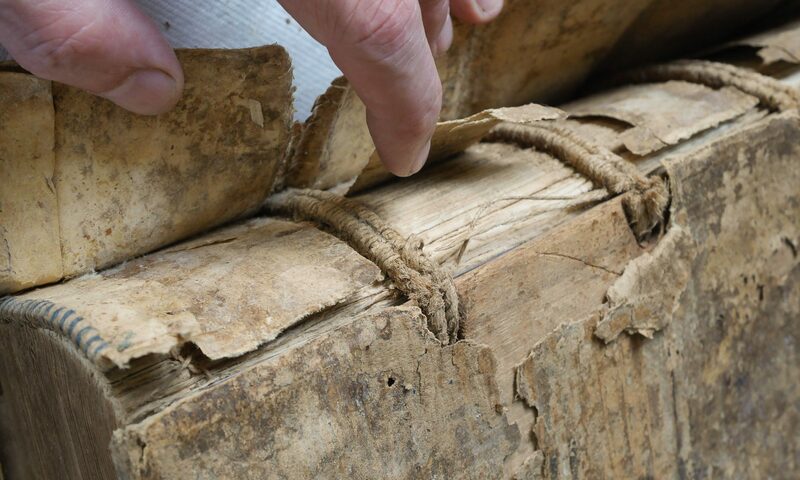 This raises some practical concerns: if a book has been disbound, and perhaps remains disbound for the purposes of display, is it no longer a book? Does it now belong in a special category of the book; a disbound book? Much descriptive terminology adds similar qualifiers; an unbound book, a rebound book, etc…. A work of art remains a work of art if it is in its frame or not. A textblock cannot just be taken out of its binding without radically altering its ontological status as a book. Jan Storm van Leeuwen. Dutch Decorated Bookbinding in the Eighteenth Century, Volume 1: General Historical Introduction. Den Haag: Hes & De Graff, 2006. p. 41. The extreme of this might be the leaf book, a new book made to highlight a single leaf from another book. There are a number of excellent essays, including one by a lawyer/ leaf book collector who considers ethics and international law in the catalog to the exhibition Disbound and Dispersed: The Leaf Book Considered. Chicago: The Caxton Club, 2005.